A league table showing the performance of fertility clinics in the UK has been published by the regulator. The Human Fertilisation and Embryology Authority (HFEA) published the list following a request under the Freedom of Information (FOI) Act. The clinics are rated on several criteria, including risk management, safety and staff competence. An HFEA report published in December recorded 140 incidents or near-misses in the year to March 2006. 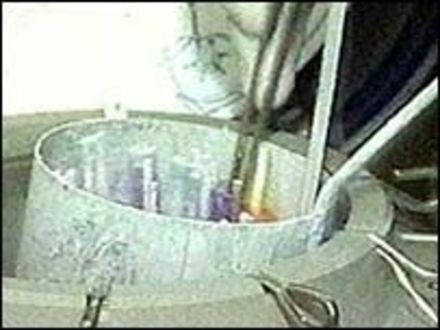 Of these, 91 were deemed to have serious consequences for the patient, embryo or safety of staff. That report gave clinics a "compliance score" for each category, with the ideal score being 0. The newly published details reveal that six clinics scored lower than -15. Bottom of the list was London's Reproductive Genetics Institute, which no longer has an HFEA licence. It scored -34. According to the December report, the six clinics demonstrated "the systemic problems caused by poor leadership and control". Other issues surrounded protocols, procedures in the laboratory, staff competence, qualifications and training. According to the FOI list, just five of the 78 clinics listed scored 0. The Willow Suite at the Thames Valley Nuffield Hospital. The score was calculated by assessing whether the issues raised involved breaches of the law (scored -3), breach of the code of practice (scored -2) or whether they were other forms of poor practice (scored -1). The HFEA said in December it was not its intention to "name and shame" the clinics. John Paul Maytum, a HFEA spokesman, said the figures simply provided a snapshot of services at the time they were compiled. He said: "When you are looking at the performance of a clinic, it's not so much the problems you find that matter, it's how quickly the clinic addresses the problems and improves their performance and practice. "A lot of these clinics had already addressed the problems by the time the inspection report was looked at by the licence committee." Dr Allan Pacey, a senior lecturer in andrology at the University of Sheffield and secretary of the British Fertility Society, said the creation of a national system for logging problems had been very useful, as it gave everybody the chance to learn from other's errors. He was concerned that revealing data on individual clinics might dissuade some from being open about their mistakes. "It is in the interests of patients that everybody is honest and open and reports their near misses," he said.